Darling all-bisque school girl wearing her original batiste dress which has hand-embroidered trimming. 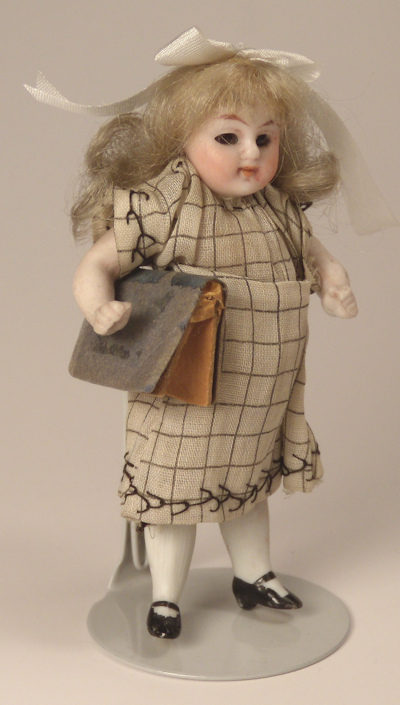 She has stationary glass eyes, a mohair wig and molded black Mary Jane shoes. Made by Kestner c. 1900. Jointed at the shoulders and hips. 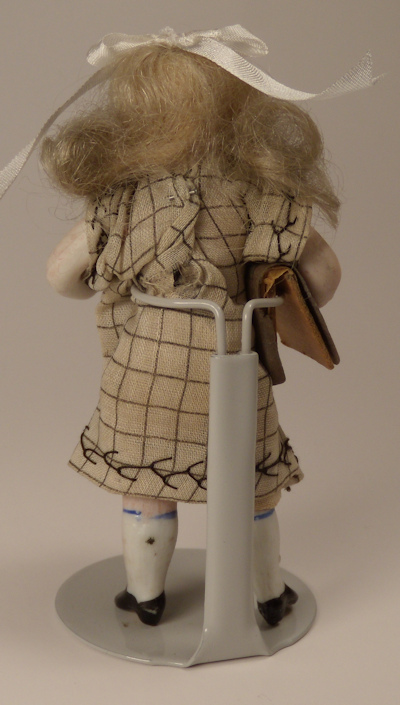 She carries her old school book under her arm (the book is wedged under her arm and the stand helps hold it in place). 3 1/2" high. Very nice condition with no breaks or repairs. 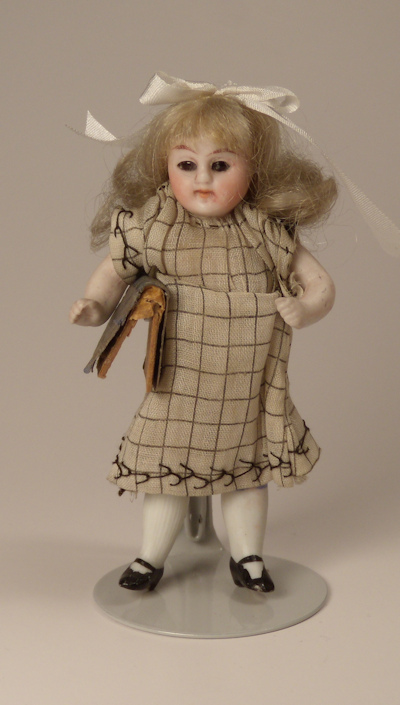 I am interested in purchasing Kestner Schoolgirl with Glass Eyes w/Book.